HOUSE independent bloc leader and Leyte (1st District) Rep. Ferdinand Martin “FM” G. Romualdez yesterday dared Speaker Feliciano “Sonny” Belmonte Jr. to make good on his promise to reactivate the congressional oversight committee that will scrutinize the 2015 P2.606-trillion General Appropriations Bill (GAB) which the House of Representatives recently approved on second reading. “The Speaker has a very noble proposal and good intention to check wasted public funds. But everything about transparency and accountability is easier said than done. 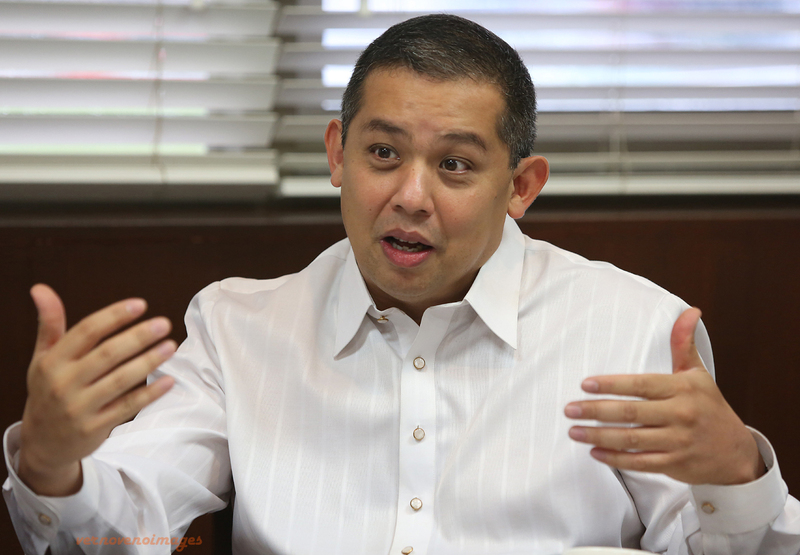 We challenge the Speaker to grant our request to revive the congressional committee on oversight that had been used in the past Congresses to check the supposed abuses,” Romualdez pointed out in an interview. Romualdez said his group filed House Resolution (HR) No. 268 in September 2014 after Congress decided to scrap the P25.24 billion priority development assistance fund (PDAF) or pork barrel under this year’s P2.265 trillion General Appropriations Act (GAA). “We hope the leadership will finally consider the revival of the oversight committee that will focus on scrutinizing all financial disbursements under the national budget because it has a very wide scope,” he stressed. “The most important thing is we are trying to provide focus to the congressional functions. The people would not want their representatives to be remiss in their duties. We will focus on efficiencies and transparencies in the releases of public funds,” Romualdez said. The Leyte lawmaker said the oversight committee will also ensure that the performance of different government agencies are monitored, especially in meeting revenue targets to further promote transparency and accountability in the government. Meanwhile, Buhay Hayaang Yumabong party-list Rep. Lito Atienza and Abakada party-list Rep. Jonathan de la Cruz, both members of the Romualdez bloc, agreed with the Leyte opposition leader, stressing there is a need to further improve checks and balances in the government. “We’ve been proposing that before, when we called on reviving the congressional oversight committee. The Speaker should show that something is true or real through solid actions from him. He should create it now,” Atienza said. “The Speaker should walk the talk by showing example. As the saying goes, everything is easier said than done,” de la Cruz said. “This is the most effective way of creating a very healthy relationship between the Legislative and Executive, seeing to it that the funds approved in the national budget are spent properly,” Atienza stressed. De la Cruz proposed that all departments should submit quarterly reports to Congress for transparency and accountability.